Mulch adds a layer of organic matter to your garden that releases nutrients back into the soil slowly as it breaks down. It also acts as an extra layer of insulation, keeping your plant's roots warm and protected even after frost. Mulch also helps the soil underneath retain moisture for the plant's root systems. Different mulches, however, can have different impacts on the soil and the plant as they break down. 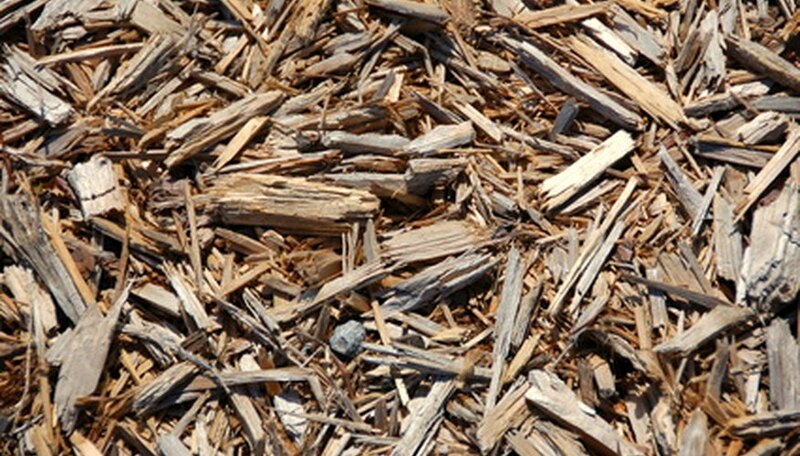 Cedar mulch is made out of cedar bark and some cedar wood. Cedar mulch is long-lasting since the wood it is made from is water- and insect-repellent. Cedar mulch doesn't break down and integrate itself into the soil because the wood and mulch are so long-lasting. Because of this, cedar mulch won't change the nutrient composition of your soil, won't bring insects with negative impacts into your plantings, and won't have to be replaced as often as a soft-wood mulch. If, however, you are mulching plants that tax the soil, such as vegetables, it is better to use a soft-wood, or leaf mulch that will break down quickly and replace the nutrients used to produce your vegetables. Pine mulch is made out of a slightly softer wood than cedar mulch, so it breaks down more readily than cedar mulch. This is a good choice if you have poor soil that needs supplementary nutrients. But pine is a more acidic wood than cedar and may affect the pH of your soil. The wood and bark pine mulch, however, is less readily acidic than mulch made out of green pine needles, which should be used only around acid-loving plants like blueberries. Pine mulch is also less expensive than cedar mulch, so if you are looking for the water-retaining and frost-protecting benefits of mulch without a high cost, pine mulch may be the better choice. It is better to use a shallow layer of mulch in the spring and summer when there is no danger of frost. Spring mulching depths are usually 2 to 2 1/2 inches for wood and bark mulches, and 1 inch for pine straw, or pine needle mulches. In the winter these amounts should be doubled to adequately insulate the root systems from frost heaves. Wood and bark mulches will float away more easily in rainy weather than will pine straw, so keep a little extra as backup to replenish any that gets lost in rainstorms. Pine straw, which is made out of dried pine needles and is only as acidic as pine wood, can be used in wet places since it does not wash away easily. Pine mulch is susceptible to termite infestation, as well as to attracting insects of all types, so don't use it against buildings or old trees that could be damaged by these insects. Take precautions not to bring any insects with a negative impact into your garden if you are using your own wood chips for mulch. Bagging the mulch and leaving it in the sun for a few days before using it will kill any dangerous insects living in the wood. Turn your mulch if you have a large pile that you are not using immediately, as this discourages fungal and mold growths inside the mulch pile and helps keep everything dry.